Update: Jordan has confirmed the move on her MySpace and Twitter. 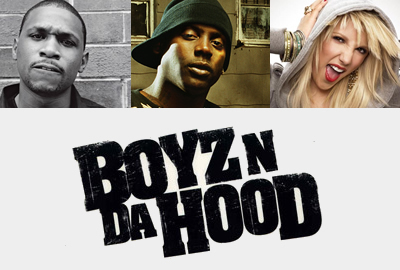 Bad Boy Blog has learned that Jordan McCoy will join Boyz N Da Hood, replacing Gorilla Zoe. Due to the success of his solo projects, Zoe will be leaving the rap group, following in the footsteps of Young Jeezy, who he replaced after Boyz N Da Hood's self-titled debut album. This is according to separate sources close to Jordan and at the label. McCoy's self-titled debut EP album was digitally released earlier this year. She is also a member of the revamped pop girl group Dream. It's unclear, at this time, how the move to Boyz N Da Hood impacts Dream, or McCoy's own solo projects. Along with McCoy, Boyz N Da Hood consists of Bad Boy rapper Big Gee and rapper Big Duke. With Jody Breeze's likely departure, a fourth member could enter the fray. It's thought that, with McCoy on board, a male R&B singer could be the next addition, as the group moves more toward a pop and R&B sound. Boyz N Da Hood's next album, tentatively titled "Back On Da Corner," is slated for a release at the top of 2010.
theres a Ness DJ Booth freestyle, think its on http://www.djbooth.net, ness starts the rap with a Biggie line and shouts out Bad Boy, good look. Pretty good freestyle. Ha Ha. Jordan's wearing a hood. Great point, Ather. That was totally accidental. Accidental genius! :) hehehe.